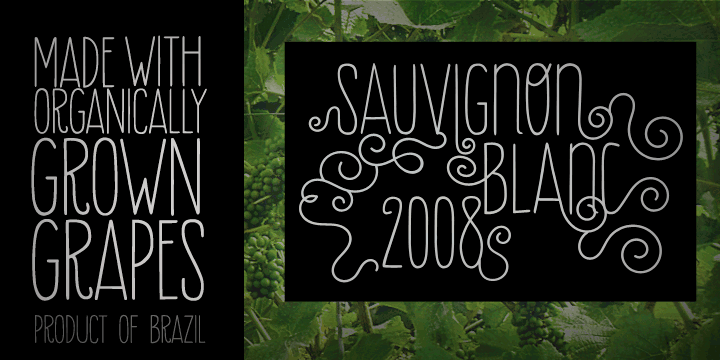 Berimbau was designed in 2011 by Ricardo Marcin, Erica Jung gives a very flowery kind of look to the posters. The twisting and rounding features of this OpenType font has magical impact of the font savvy applications which users can avail with just a push of a button. PintassilgoPrints are really happy in publishing this font as it has at least of 4 variants for each letter making it wonderful to keep it in your sleeves and use it to perfection as when needed depending on the typography. Berimbau is available in three families where each one does own part. Should use it and make things happen.